I don't know about you, but I have three or four different keys on my key ring that look almost exactly the same. Searching for the one I need creates quite an inconvenience if I'm in a hurry. 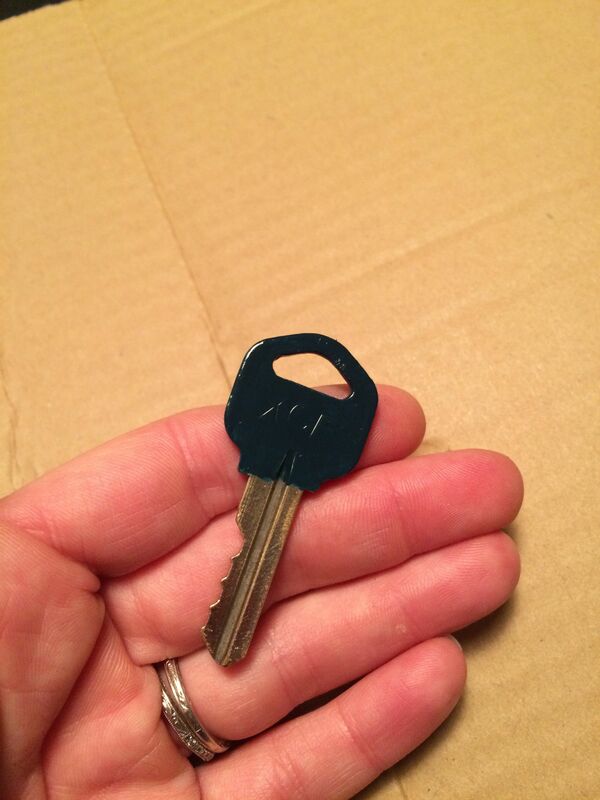 If you are tired of searching through all of the keys on your key ring to find the right one, or if you'd just like to add a little pizzazz to your ring, I've got a quick and easy DIY that uses materials you probably already have in your home! 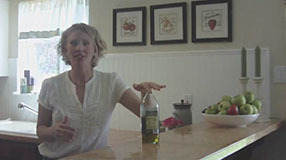 Lightly sand the top half of your key to rough up the surface so that the polish will adhere to it. Tape around the teeth of the key to create a smooth line that your polish will not go past. 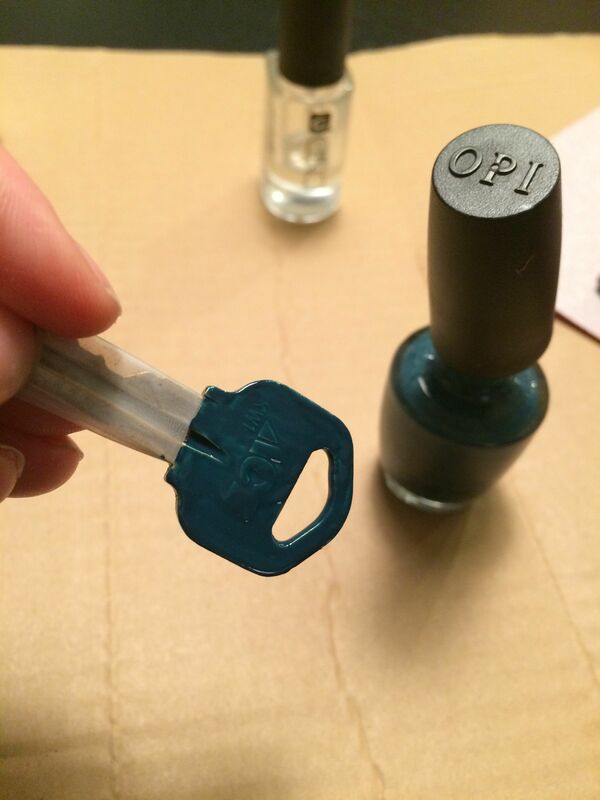 Hold the key at a downward angle so the polish doesn't run under the tape. 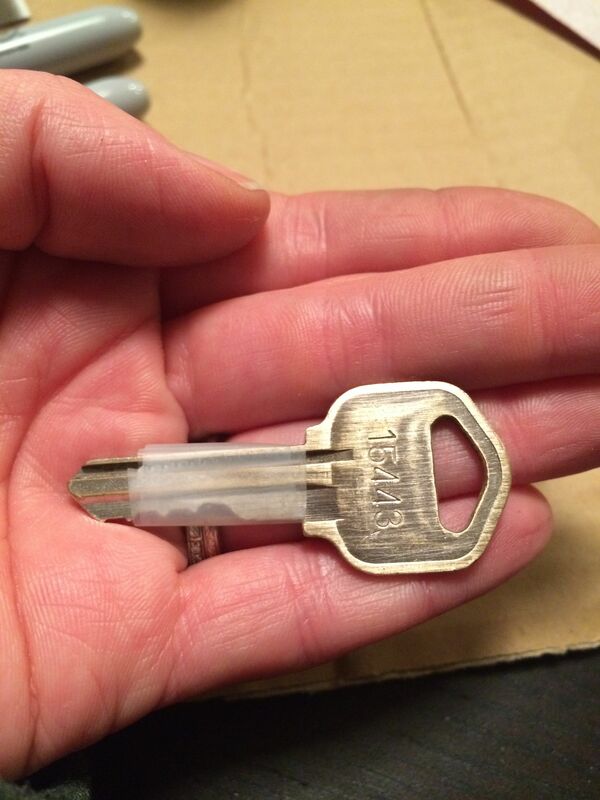 Apply a light coat of polish to the top of the key. 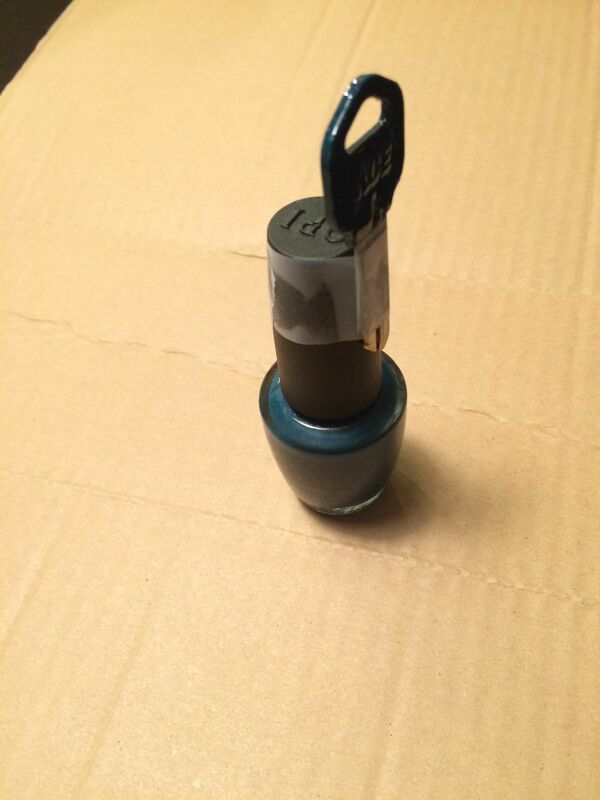 Let the key dry before applying a second light coat of polish. 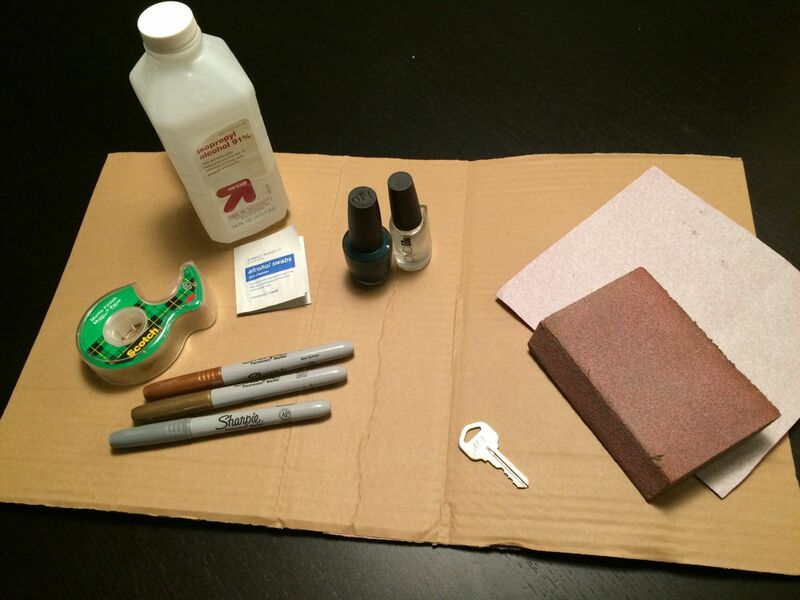 Cover the key with a clear top coat to seal. 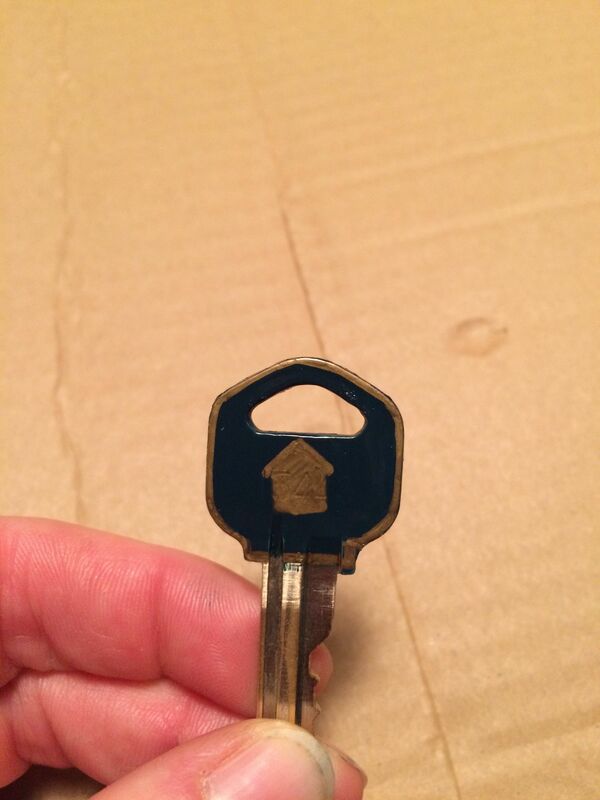 Use a metallic Sharpie to create a design or to label the key. This must be done after the clear coat because the clear coat will smear the ink. Note: the Sharpie may rub off over time, but if you do a simple enough design, it won't be hard to touch up. In order to seal in the Sharpie ink without smearing it, you can purchase a spray sealant in the spray paint aisle of your hardware store. I skipped this step because I wanted to keep this project as simple and low cost as possible—using supplies I already had!